Iranian President Mahmoud Ahmadinejad plans a four-nation tour of Latin America beginning Sunday in an apparent effort to show he is not a universal pariah despite increasing tension between Tehran and the West. The tour, whose complete itinerary has not been made public, is expected to begin in Venezuela and include visits to Nicaragua, Cuba and Ecuador. 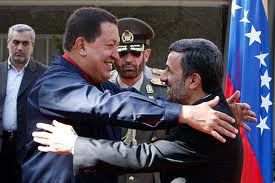 Ahmadinejad was expected to visit Venezuela, with which Iran has signed a number of trade deals, including joint ventures to produce tractors, bicycles and housing, in September. That visit was canceled because of Venezuelan President Hugo Chavez’s treatment for cancer.